Acclaimed author Agatha Christie spent her teenage years on the south coast of England around Torquay where sea bathing was a common practice in the early 1900s – but in 1922 she would become one of Britain’s earliest “stand-up” surfers. “In fact, on a rough day I enjoyed the sea even more,” she said. After the First World War her husband Archie was offered a position to help organise a world tour to promote the British Empire Exhibition to be held in London in 1924. The couple left England in January 1922, leaving their baby daughter in the care of Agatha’s mother and sister. They arrived in Cape Town, South Africa in early February and immediately took to sea bathing at Durban, and were soon introduced to prone surfboard riding at the popular Muizenberg beach. She would write about her experience in her novel published two years later The Man in the Brown Suit. The party continued their tour through Australia & New Zealand before arriving in Honolulu on August 5th 1922. 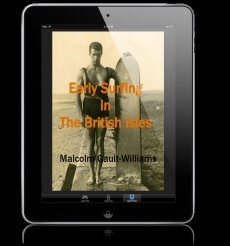 Agatha and her husband quickly took to riding surfboards standing up at Waikiki (as Prince Edward had done two years earlier), although the larger boards and surf proved a tough test of their new skills. The local beach boys would tow them out through the break, help them select suitable waves and retrieve their lost solid wood surfboards. Research is now underway to see if she continued surfing on returning to the UK, but it’s known a writer’s retreat was built at Burgh Island, Bigbury in South Devon in the 1930s – overlooking some classic surf breaks. 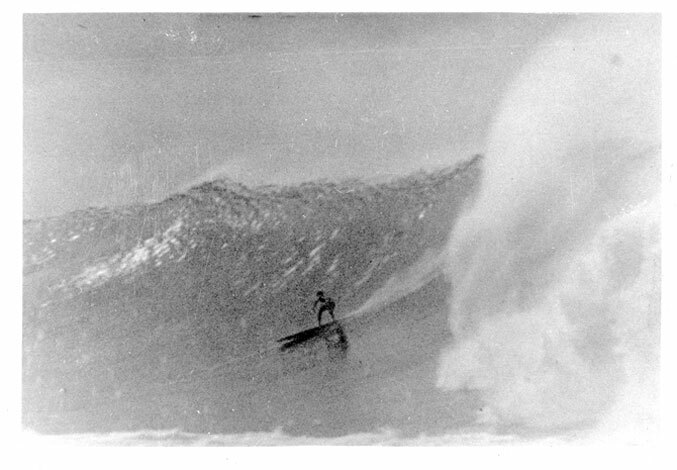 Among the regular visitors to ‘Beach House‘ were Agatha Christie and Prince Edward who had both learned to surf in Hawaii a decade before.